Once you’ve tasted vegetables straight from the garden, you’ll know why people love to grow them! Ontario’s climate allows for spring, summer, and fall crops. We can enjoy a wide variety of vegetables throughout the growing season, which runs from mid-to-late May until the end of October. Growing a garden starts with planning. While the ground is frozen, decide which vegetables you want to grow and how many of each plant you’ll need. Consider your garden space and how much room each plant requires. These are the top 10 vegetables to grow, based on popularity and ease of cultivation. Peppers (hot and sweet) love the heat. Start seeds indoors in mid-March or purchase plants from a nursery. Plant them outside in the latter half of May when the danger of frost has passed. Beans enjoy warm weather, and seeds can be planted directly in the garden in late May. Consider giving them a head start by starting seeds indoors 3 weeks earlier. Carrots are grown from seed. Plant them beginning in April, and sow successive crops every couple of weeks until late June. There are so many incredible varieties of tomatoes; it's hard to choose which ones to grow. Tomatoes are a hot-weather crop. You can start seeds inside around mid-March or buy plants from a nursery. Plants should go in the garden in late May when the soil is warm. Peas are an ideal spring vegetable. Plant seeds directly into the garden in May. Bush peas are fairly compact, but other types are real climbers and will need a trellis or other support. Snow peas, sugar snap peas, and English-style garden peas are all delicious choices. Radishes grow poorly in hot weather, so they’re an ideal spring crop. Plant seeds directly in the garden in early spring, and you’ll have tender radishes within 4 weeks. Consider successive plantings every 2 weeks. Plant zucchini seeds in the garden around May 24 or start the seeds indoors in early May and hold them inside until you’re certain there will be no more frost. If the weather is too hot, lettuce seeds won’t germinate. It’s best grown in the spring and fall. Start seeds indoors in mid-March and transplant to the garden in early May. A second planting closer to fall ensures you’ll have tasty salads until Thanksgiving. Cucumber seeds can be planted around May 24. If it’s a cool spring, make the most of the growing season by starting seeds indoors at the beginning of May and transplanting seedlings when all danger of frost has passed. Kale grows best in cooler weather. Start seeds indoors in mid-to-late July and transplant to the garden around the second week of August. Keep it in a partly shaded area. Growing your own vegetables can be very rewarding, especially when you enjoy the fresh, delicious harvest. It can also be a ton of work! 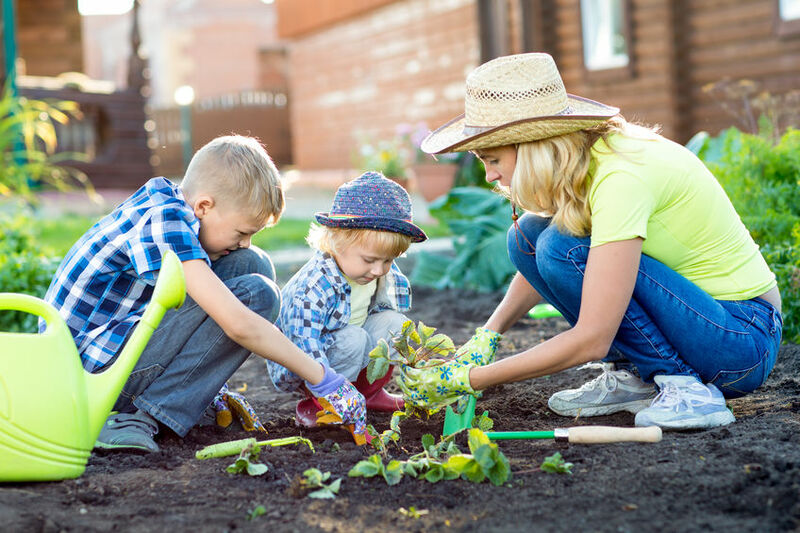 If you need help with garden setup or a whole garden makeover, the Absolute Home Services team of garden and lawn care experts is ready to step in. We love gardening, and we love taking the difficult tasks out of your hands so that you can enjoy your summer and relax. Give us a call to discover what services would work for you, and to get your free estimate today.